Press Start 2P is a bitmap font based on the font design from 1980s Namco arcade games. It works best at sizes of 8px, 16px and other multiples of 8. 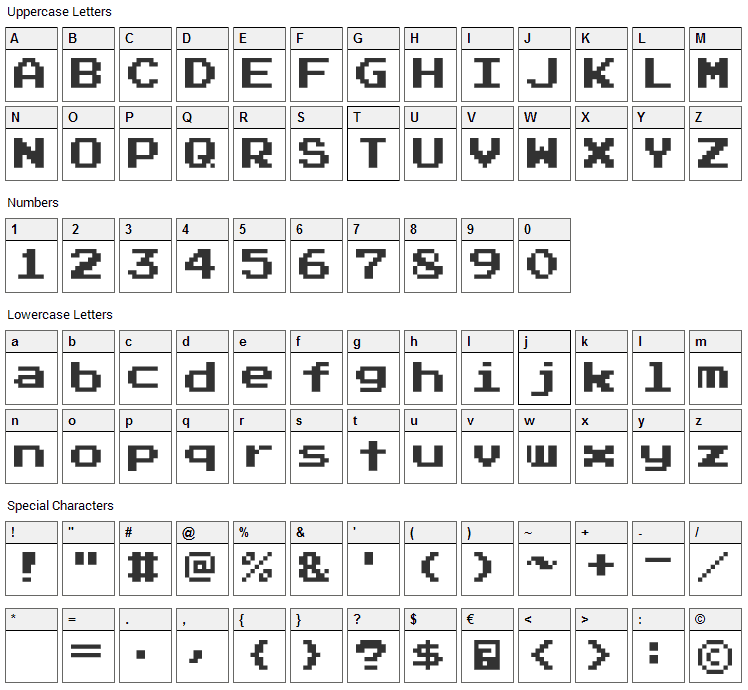 Although the design of uppercase letters and digits dates back to Atari's "Sprint" (1977), the specific glyph forms in this TrueType conversion are based on those from "Return of Ishtar" (1986), one of the first games to include and regularly use lowercase as well as uppercase letters in its screen font. Unlike the original font from the "Return of Ishtar" ROM, Press Start 2P includes a wide variety of non-ASCII Unicode characters for pan-European use, including Greek and Cyrillic. It could be expanded to support other scripts. 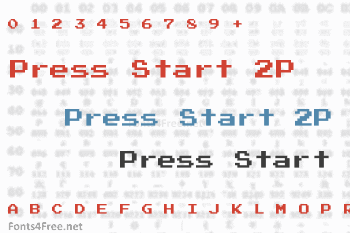 Press Start 2P font contains 555 defined characters and 171 unique glyphs. 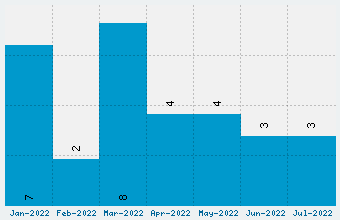 The font contains characters from the following unicode character ranges: Basic Latin (93), Latin-1 Supplement (96), Latin Extended-A (128), Latin Extended-B (1), Spacing Modifier Letters (12), Greek and Coptic (74), Cyrillic (96), General Punctuation (17), Currency Symbols (2), Letterlike Symbols (2), Arrows (4), Mathematical Operators (11), Geometric Shapes (5), Miscellaneous Symbols (7), Private Use Area (3), Alphabetic Presentation Forms (2). Press Start 2P is a bitmap, pixel font designed by Codeman38. The font is licensed under SIL Open Font License. The font is free for both personel and commercial usages, modification and distribution. In doubt please refer to the readme file in the font package or contact the designer directly from zone38.net.